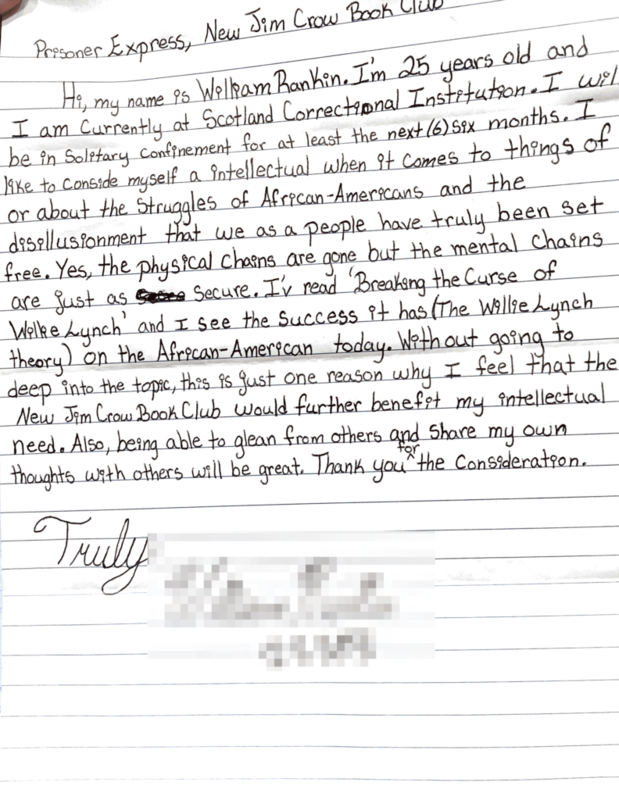 Quick update : the letters are coming in! 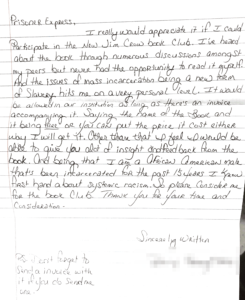 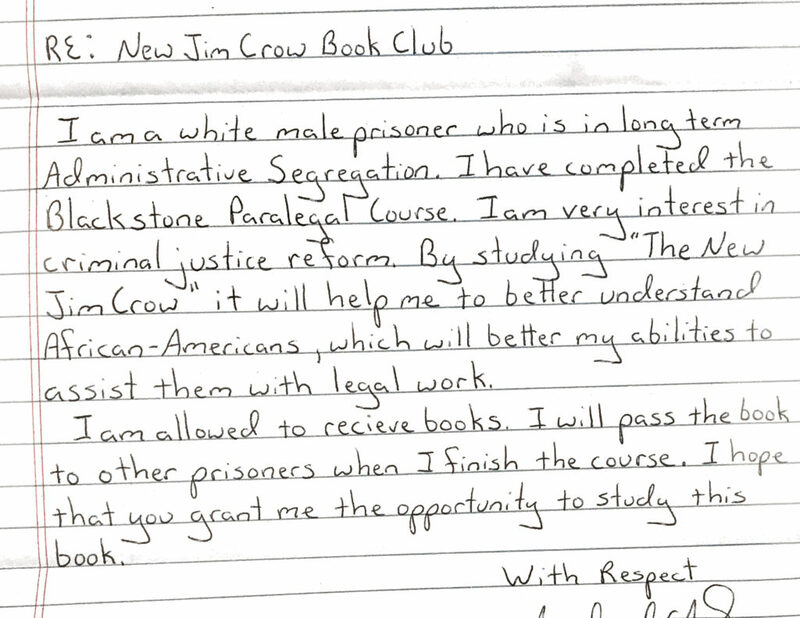 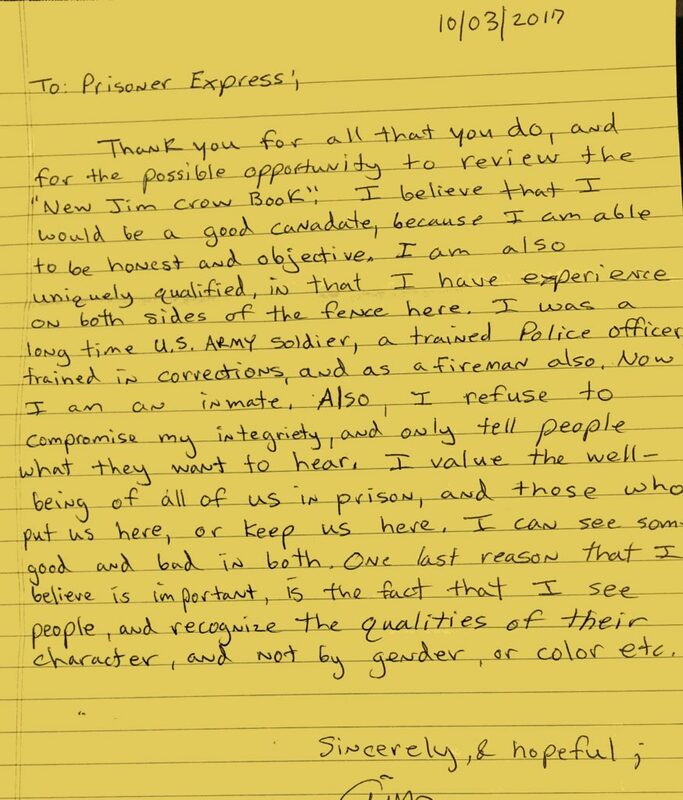 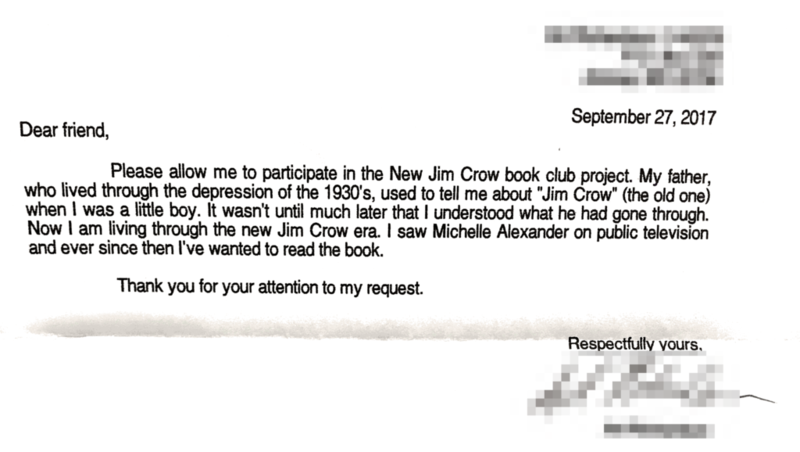 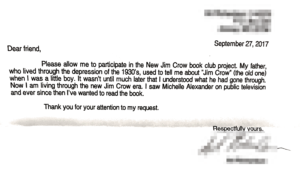 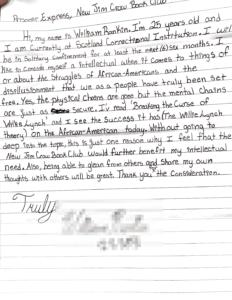 Last month we invited over 3,000 prisoners to join a book club reading of The New Jim Crow – here's some of the responses that have already come in. 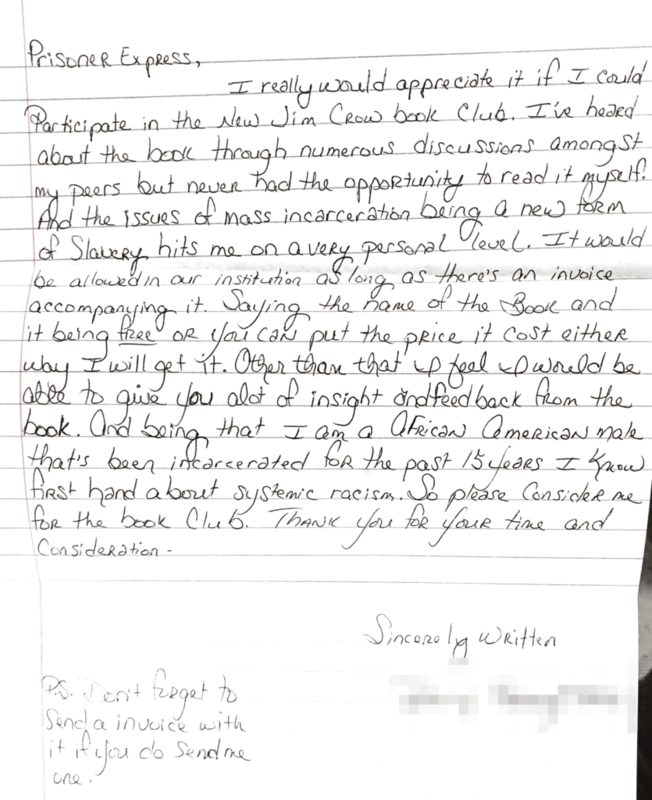 Click on the letter below to read it. 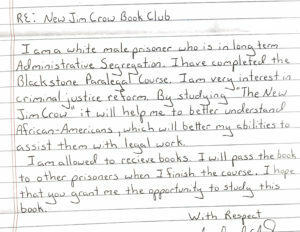 We're allowing time for more people to join the program. 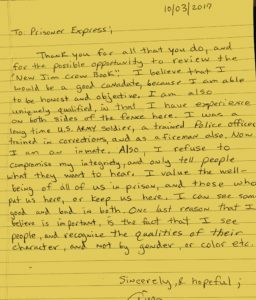 In 2018 we'll start we'll have opportunities for you to participate in the discussion via correspondence with prisoners who are reading the book.